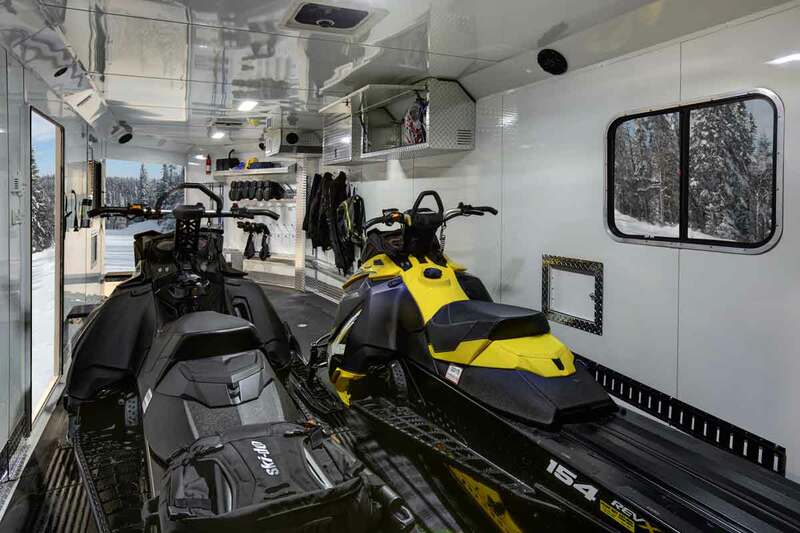 Trails West was the first to offer a production-class, gooseneck enclosed snowmobile trailer. 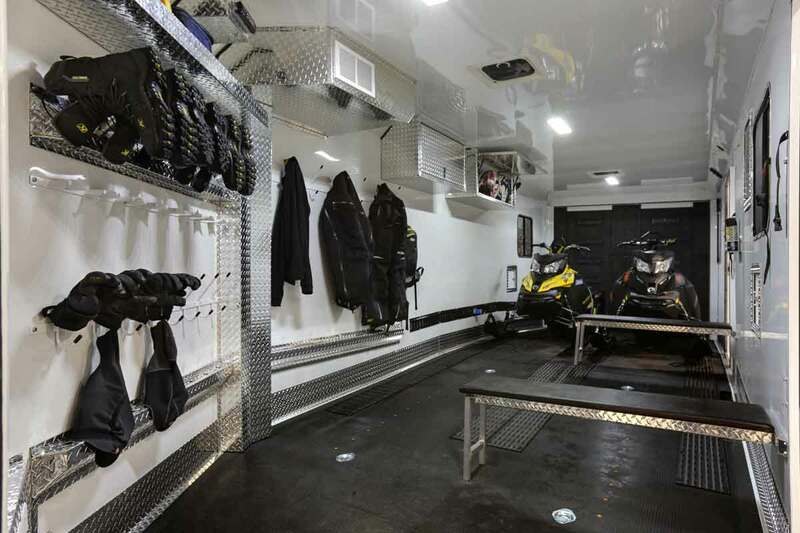 We have set the pace with an angled front ramp, lined and insulated walls and roof, arched floor design, 82″ inside height (fits all side x side ATV’s) all as standard features. 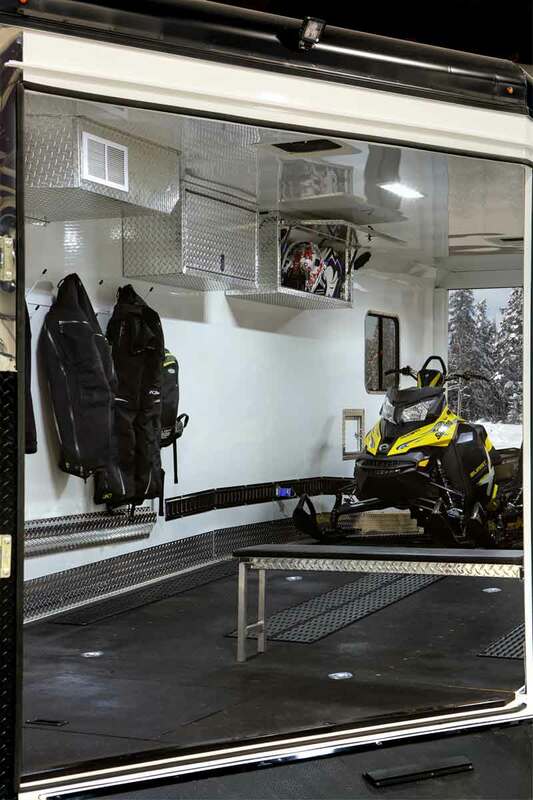 The Trails West RPM is the only trailer you will find on the market offering an optional 40,000 BTU furnace with track melt that is ducted through the floor to efficiently melt snow from the tracks of your sleds. You can’t go wrong with this trailer. Go ahead, you deserve it. 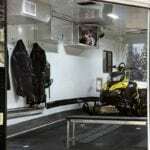 * This option includes: Special Edition Graphic, Stereo w/Kicker Speakers, Amp and Subwoofer, (2) Fold Down Benches, Ski Glides on Ramps and Cargo Area, Forced Air Furnace with Track Melt, (2) 6-volt Batteries, Traction Blocks on both Ramps, (2) Tread Brite Aluminum Cabinets, 110-volt Power Converter, Ducted Heat Package”. ** This option includes furnace, dual 5 gallon propane tanks, bench, timer, battery and box. 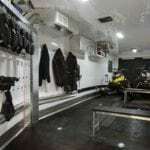 ***This option reinforces undercarriage in cargo area and includes rear stabilizer jacks and heavy duty in floor tie rings.